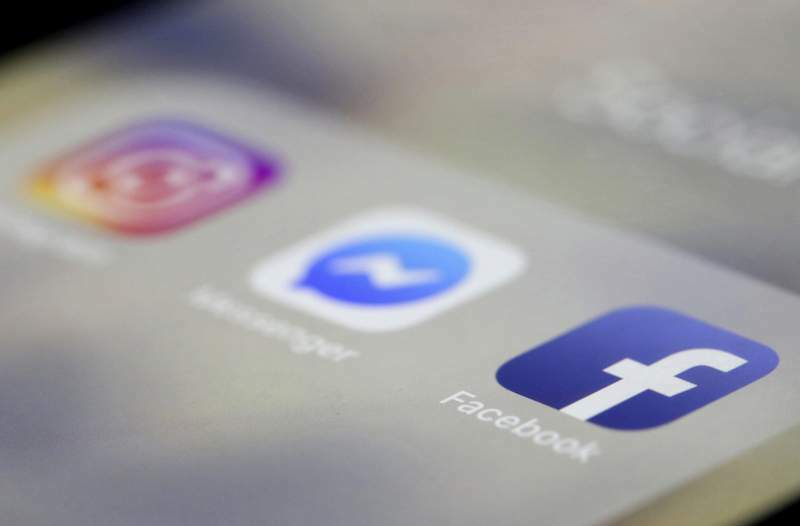 Associated Press: In this March 13 file photo Facebook, Messenger and Instagram apps are are displayed on an iPhone in New York. Facebook, Instagram and WhatsApp were down earlier on Sunday. Downdetector.com, a site that monitors site outages, shows Facebook had been down since 6:30 a.m. EST in much of the world, with thousands of reported outages concentrated in the northeast U.S., Europe and the Philippines. It appeared to be back up and running for most users by 9 a.m. EST.